The Unrepresented Nations and Peoples Organization (UNPO) condemns in the strongest terms the decision taken by the United Nations Department of Economic and Social Affairs (UN-DESA) to wrongfully prevent UNPO Vice President Dolkun Isa from participating in the 17th session of the United Nations Permanent Forum on Indigenous Issues, despite his prior approval. 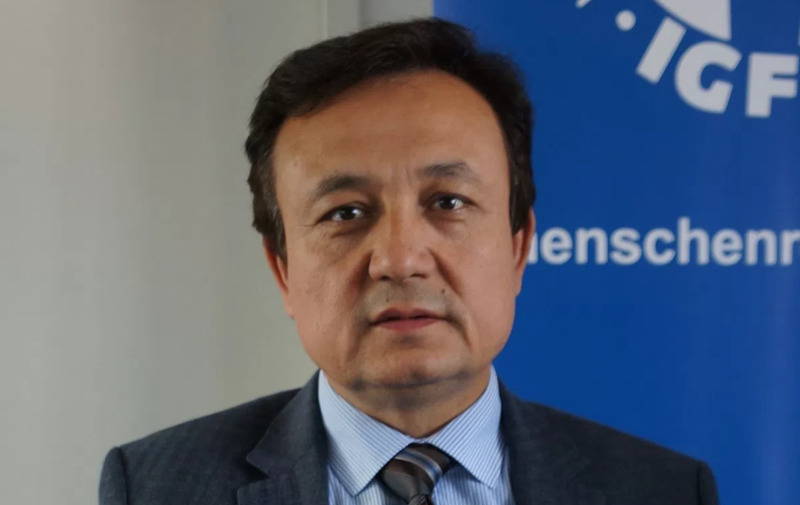 Just days before the start of the Forum, World Uyghur Congress (WUC) President Dolkun Isa, was informed that his accreditation for the event through the Society for Threatened Peoples was suddenly ‘pending approval’ due to ‘security concerns’ despite initial approval weeks before. Mr. Isa had already made travel arrangements to attend the Forum. On Monday, April 16, 2018, Mr Isa was prevented from entering the UN premises to participate in the first day of the Forum. When asked for an explanation, UN security were unable to elaborate further on the justification for the refusal, citing ‘security concerns’ once more. There is absolutely no legitimate reason why Mr Isa, a German citizen and a peaceful human rights activist, should be refused access. Such an action stands as a clear attempt by the Chinese government to prevent a legitimate activist from participating in a UN Forum. In February 2018, the Red Notice issued for Mr Isa by Interpol in the late 1990s at the behest of the Chinese government was finally deleted, illustrating that allegations against him have been completely unsubstantiated and politically motivated throughout his career. This is also not the first time Isa has been unjustly prevented from participating in the Indigenous Forum. On April 26, 2017, Isa was forced to leave the UN premises while participating in the 16th Indigenous Forum. The incident took place outside Conference Room 4, where Indigenous Peoples Organizations, Forum members, UN agencies and States were discussing the implementation of the UN Declaration on the Rights of Indigenous Peoples. Isa was asked for his identification document by UN security and subsequently asked to leave the premises without an explanation. The UN has continued to remain silent on the issue for nearly a year, despite calls from the WUC, the UNPO, Society for Threatened Peoples and Human Rights Watch for clarification. Mr. Isa regularly participates in events at the UN Human Rights Council in Geneva without incident, aside from regular harassment by the Chinese Permanent Mission within the UN grounds. It cannot be a coincidence that UN-DESA, the body largely responsible for the organization of the Indigenous Forum, is headed by Under-Secretary-General Mr Liu Zhenmin of China. The targeted and politically motivated exclusion of Mr Isa to prevent him from criticizing China’s human rights record is a gross misuse of power and an insult to the integrity of the Forum and to the UN itself. The UN Indigenous Forum was created to give marginalized and unrepresented peoples a platform to have their concerns and voices heard at the UN level. It undermines the dignity, credibility and purpose of the entire Forum if powerful countries are successfully able to silence groups and individuals in a mechanism specifically designed to give them a voice. The UNPO and the WUC have been witnessing China’s increasing influence at the UN and its concerted effort to undermine the UN human rights system, but this blatant and (thus far) unchallenged manipulation of UN mechanisms is astounding. If the UN takes its commitment to human rights and the participation of civil society seriously, it must correct this clear injustice and allow Dolkun Isa to participate in the Forum.